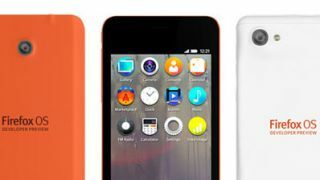 A quartet of new Firefox OS devices have been unveiled at MWC 2014 as Mozilla ups its low-end game. The ZTE Open C, ZTE Open II, Alcatel Fire C, Fire E and Fire S are all handsets, while the Alcatel Fire 7 is a tablet. Huawei is also releasing its first Firefox phone, the Huawei Y300. All the new devices rock Qualcomm Snapdragon processors, and the Fire S actually has a half-decent spec sheet: 4.5-inch screen, 4G connectivity, quad-core processor and an 8MP 1080p camera. As well as announcing the new hardware, Mozilla spoke about the future of the Firefox platform. The company promises universal search, LTE support, NFC support and the ability to handle dual SIM cards are all coming in the near future. There's also news of the first chipset for a $25 smartphone which was shown off on a reference device, and Mozilla is also trying to encourage higher-spec phones with 4.5-inch dual-core reference hardware for devs to test Firefox OS apps on.